12 million UK pets are being fed too many fatty treats, including takeaways, cheese, crisps and cakes, often on a daily basis, which is fuelling the UK pet obesity epidemic. That is the finding of the biggest national pet health Report conducted by leading veterinary charity, PDSA. What is even more concerning, according to the animal health and welfare charity, is that 50% of owners say they think treats make their pet happy with just 2% confessing to feeling any guilt about feeding naughty treats. And with just one cube of cheese* given to a medium sized dog the equivalent of us eating four shortbread biscuits, half a margherita pizza, or one and a half burgers, PDSA is urging owners to give their companions’ diets a health MOT to prevent long-term, life-threatening illness for the nation’s pets. In response to these worrying statistics, PDSA is launching its annual search to find the UK’s most overweight pets with the worst diets and help them slim down and get fit as part of its pet slimming competition, Pet Fit Club. People can enter at www.pdsa.org.uk/petfitclub. Dogs, just over six million of them, are fed the greatest amount of junk food with 90% of dog owners admitting that cheese, toast, crisps, biscuits, takeaways, cakes and other fatty treats form part of their doggy’s diets. Cats have the second worst meal plans with 43% being given fatty treats (over five million). Rabbits have the least amount of junk foods (26%) but even so, this still equates to over 430,000 bunnies eating a diet that includes toast, biscuits, cake, cheese and crisps – a far cry from the hay, fresh greens and rabbit nuggets that they should consume. The groundbreaking PDSA Animal Wellbeing (PAW) Report**, the largest of its kind ever to assess and measure the health and welfare standards of dogs, cats and rabbits, was produced in conjunction with YouGov and involved 11,000 pet owners. The Report lifts the lid on all aspects of pet wellbeing, and when it comes to what our pets are eating, millions of pets are set to develop obesity related, life-threatening illnesses if their diets don’t improve. 29% of owners admit to feeding treats, often on a daily basis, which suggests pet waistlines are set to continue to expand. Dog obesity levels are now higher than human obesity figures. Data from the Department of Health show that a quarter of Brits are now overweight. But dog obesity is much higher and currently stands at around 35% (one-in-three), which is a rise of 14% over the past four years***. Overall, pets in Wales and the North West fare the worst with 67% fed on unsuitable foods. In contrast, pets in London have the least fatty treats (53%). When it comes to assessing dog, cat and rabbit diets individually across the regions, dogs get the most fatty foods of all the species assessed across the UK; the worst diets are fed in Yorkshire and Humberside where 92% are given junk food on a regular basis. Londoners feed the least amount of fatty dog treats but the figure is still a staggering 88%. Yorkshire and Humberside cats are in need of the biggest diet overhaul with 48% lapping up junk food. The least fatty feline diets are in London and the East Midlands (39% & 40%). Bunnies in the East Midlands (30%) hop in with the worst diets, while those in Yorkshire and Humberside are likely to be a bit healthier with 15% fed on fatty treats. PDSA’s current pet slimming champions are Labrador, Lucky (5) from Cardiff and Rottweiler Maddison (8) from Liverpool. With PDSA’s help these two pets have lost around 25kg, the equivalent weight to around eight Yorkshire terriers. Both hounds were morbidly obese when they started PDSA Pet Fit Club back in December 2010. Preventing obesity is much easier than getting a pet to lose weight. A good diet when a pet is young is essential. Young overweight dogs are one and a half times more likely to become fat adults****. Watch out for the treats: feeding a pet even a small treat can significantly increase their daily calorie intake. If you give your pet a treat, perhaps for training purposes, reduce the amount given in their main meal on that day. Weight loss requires a combination of the right diet and the right amount of exercise, so discuss an exercise programme for your pet with your vet. Build up exercise gradually, as a pet shouldn’t go from couch potato to marathon runner overnight. PDSA advises pet owners to speak to their vet about the right shape for their pet. 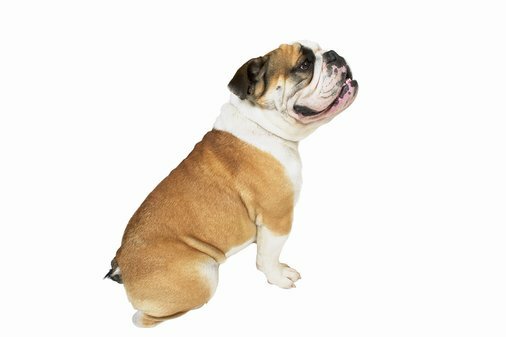 A pet’s shape gives a good indication of the amount of body fat the pet is storing. Many owners aren’t aware of what a healthy shape is for their pet. PDSA offers owners advice and guidance on a correct body shape for their pet at www.pdsa.org.uk/obesity. Some owners are worried about seeking advice for their overweight pet for fear of being prosecuted. However, cases of prosecution for pet obesity are very rare and are usually a result of owners habitually ignoring advice from their vet over a period of time. In some pets, such as cats and rabbits, weight loss must be very gradual. If these pets lose weight too quickly, it can be fatal.